Support music education by donating your money, time, or materials. We love receiving phone calls from a person who has just heard of our organization and would like to donate their time, money, or materials. Every donation helps us to achieve our goals of building better children through music! * Donation Policy We currently accept most instrument donations with the exception of upright pianos and other cumbersome instruments which are difficult and expensive to move. Please call us at 989.790.2000 with any donation inquiries. Please include your return address so we can mail you a donation receipt. Also, please indicate if you wish your donation to be anonymous. Major Chords for Minors relies solely on donations and grants. 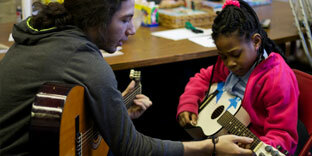 Each and every donation helps us achieve our goal to build better children through music. In 2015 we provided private lessons on piano, guitar, and drums to over 230 students. It takes people, time, and dedication to ensure our children are receiving the best music education. 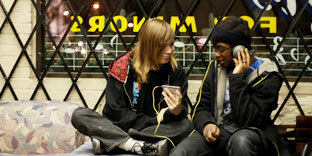 There are many unique opportunities for volunteers to become a part of Major Chords for Minors and continute to help build a better community. We greatly appreciate all volunteers and support. Email, call, or stop by the studio for more information about volunteer opportunities. What makes Major Chords for Minors special is that we provide music lessons to our students at no cost. 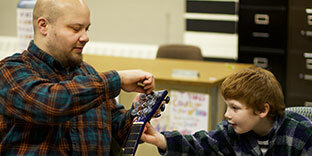 We also provide free rental instruments to those students in need. In order to ensure we have the materials for our students, we welcome instrument and equipment donations.